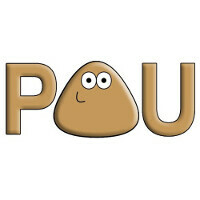 Available for BlackBerry, iOS and Android, Pou is an app that features a virtual pet. You are that required to feed it, clean it, play games with it and make sure it gets enough sleep if you want it to grow up correctly. The premise is similar to Tamagotchi and includes mini games that allow you to earn coins. The latter can be used to purchase modifications, such as clothing and fashion accessories, allowing you to customize the app. Pou can interact with your friend's Pou through Pou vs. Pou mini game battles. This requires Wi-Fi, internet or Bluetooth connectivity. With over 100 million downloads on Android alone, you should have no problem getting together with other Pou owners for a play date. The developers are giving away 1500 coins a day through New Year's Eve. All you need to do is go to top-right icon > Account > Save. Now let's see, there was some other important piece of news...ah yes, that's right! The developers have also announced that the virtual pets are coming to Windows Phone. No time frame was given for their arrival on the platform. If you're not familiar with Pou, may we suggest that you take a gander at the video below! Finally I can go WP. not really since WP still lacks the best and most played games from the Play Store. I also want to try WP but the mere fact that the apps and games (especially) that I am using in android is not present/still present at the Windows Store makes me thinks twice to try WP. I ain't hate Windows though. WP has tons of apps and Games including very many of the most played apps and games, if he says this was all that he needed before going to WP who are you to tell him not to?. I am not dictating him what to do, I am just stating the truth, and really WP has tons of games? Haha you dont know what you are talking about, where is Clash of clans? Dead trigger? Max Payne? And other high quality and well known games ( I will not state them one by one, they are too many) in android? Don't make some joke in here. WP has just the basic games of android like Temple run, Subway surfer etc. and the latest Candy Crush and Pou. You're funny. WP also has exclusive games that are not available for other platforms, man, although the number of these games is not so big. The same could be said for ios users as they have many games that android doesn't have. If you are only about apps and games ios would be the definitive route to go. You are dictating what he should do, he said he had what he needed to make the switch you are advising otherwise. Are you hi, no you're not. Actually I do know what I'm talking about it is clear that you don't, no one ever said that all games on Android will be on iOS and vice versa, the same goes for WP, for eg. Games like Halo Spartan assault, Space Shooter X and others are only found on WP. The point is this the majority of popular apps and games on Android and are found in WP. Besides things like Live Websites and Live Tiles makes me prefer WP over the competition. Its all about choice, case in point I've never even heard about this game yet I still prefer my Lumia over the competition. Not everybody wants the same thing it rings true not only for smartphones but for clothing, cars, food etc just about everything, grow up. This is most stupid game I've ever seen. PA news during the holiday! pathetic to see developers throwing an old bone on WP users from time to time. They have been starving for years ! Android recently got the very popular here maps years after WP etc, iOS is yet to get it. It Goes both ways. Actually iOS has had Here Maps for long. Nokia pulled it back from App Store after iOS 7 for unknown reasons and now they are bringing it back. Honestly though, Here is nothing to get excited about for most. Lackluster, low detail an looks half baked. Here, was good for budget folks on WP, but it has nothing on GMaps except offline viewing of poorly drawn graphics an sub par resolution. Its a joke. That is why choice isn't it?, many would rather Here over Google no matter what you think, for others it is the better product. For many it isn't a joke. I am laughing at your whole statement. Here is the best mapping system out there. Great story, hopefully these happy folks don't live in the state of CT. Where taxes are as high as a mortgage. Again, congratulations to them for raising a grateful kid.